ARTICLES THE PERSECUTION OF CHRISTIANS Why don't we hear about persecuted Christians? 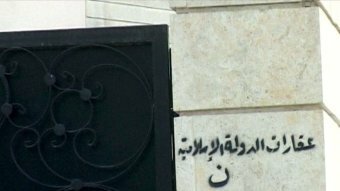 A minority group has their homes painted with an ominous symbol. They are told to leave or be killed; their belongings are confiscated at outgoing checkpoints; they are raped or shot even as they try to flee. Ancient cultural sites are blown up. Those who object, even those belonging to the majority group, face harassment and even execution. Does it matter who the group is? Waleed Aly, writing in the Sydney Morning Herald last week, argued that it does – that some deaths (and therefore lives) matter more to us than others. The particular minority group I am referring are the Christians of northern Iraq. For the first time in perhaps 1,600 years, no Christian service has been held in Mosul in recent weeks. Observers believe no Christians now remain in Iraq’s second-largest city after the Islamic State militants controlling the city gave them an ultimatum: convert to Islam, pay an (unaffordable) tax, or face death. (The tax option was later revoked.) Terrible stories of brutal persecution are filtering through. The plight of Mosul’s Christians has been noted by a growing number of news outlets, from The Independent to The New York Times. It has broken the surface of the international news cycle in a way that other atrocities – the fire-bombing of churches in Nigeria, the summary execution of North Koreans caught with Bibles – have not. It has, perhaps, begun to make more visible one of the most shocking untold stories of our time: the global persecution of Christians. Christians are persecuted in 139 nations around the world; it is estimated that up to four out of five acts of religious discrimination worldwide are directed against them. Countries that were previously moderate or avowedly secular have stepped up their hostility to Christians, such as Turkey, where over the last century the Christian presence has dwindled from 32% of the population to a tiny minority of 0.15 per cent. The Copts in Egypt, who have been continually present almost since the founding of Christianity, have long endured severe social, political and economic discrimination and in the wake of the Arab Spring have increasingly been the victims of mob violence, forced removals and the abduction of their girls and women who are then made to marry Muslim men. Once you scratch the surface, it isn’t difficult to multiply examples, whether in communist, post-communist, Muslim or South Asian countries. Yet so few of these stories filter through to the “Christian” West. The authors of the 2008 book Blind Spot: When Journalists Don’t Get Religion offer some suggestions. Firstly, they argue that Western journalists on the whole tend to be more secular than their readers, thinking only in terms of “secular Western preconceptions about oppression, economics, freedom and progress”. Quoting GK Chesterton, they note that secularism is happy to analyse motives in terms of nationality, profession, place of residence or hobby but refuses to consider “the creeds we hold about the cosmos in which we live”. But journalism is radically incomplete without an understanding of the core beliefs of the majority of the earth’s population. CNN International contented itself with the opinion that there was ‘no indication of a motive’. Would it have said the same if armed men had invaded a multiracial center, separated the black people from the white people, then methodically killed all the blacks and spared all the whites? But before Western believers cry foul over what they might see as some kind of conspiracy of silence, the authors of Blind Spot offer another perspective. Often the problem among those responsible for media content is simply a lack of understanding – the religious component to stories is met less with contempt than with incomprehension. And who can blame the young journo with only a passing knowledge of world religions trying to untangle the differences between Sunni and Shia Muslims, Roman Catholic and Eastern Orthodox Christians, Theravada and Mahayana Buddhists? But when commentators do not take religion seriously, or do not properly grasp its workings, they bypass a dimension that is central (sometimes in surprising ways) to both global and local events, trends, situations, and issues. In Australia, there is a dearth of journalists specialising in religion – Barney Zwartz, who last year retired from The Age, was the last religion editor of a major Australian newspaper. Terry Mattingly, Director of the Washington Journalism Center, offers a prescription for better coverage: “Editors do not need to try to hire more reporters who are religious believers,” he says, but they need to hire more journalists “who take religion seriously, reporters who know, or are willing to learn to hear the music”. It also doesn’t help that our society is undergoing a rather uneven and confusing transition from a Christian to a “post-Christian” identity. In Australia, this means we live with a welter of contradictions – many of us may think and speak of religion generally, and Christian belief in particular, as outmoded, but we continue to think of Christianity as the “majority” religion. Thus, for example, while it’s (at best) politically incorrect to ridicule minority groups, Christianity remains fair game to those who resent its once held (but ever diminishing) power. As the gap between the Christendom we still seem to think we partially inhabit and the society we actually do widens, we find ourselves with an increasing number of these blind spots. So long as we think of Christianity as essentially a Western religion, it’s almost impossible for us to really register what’s happening to Christians like those in northern Iraq. If we get this wrong, then we are left without a framework for assimilating stories that do not square with our assumptions about Christianity as a Euro-American, colonialist religion – such as those in which Christians around the world find themselves in the role of the oppressed, not the oppressor. This is not quite the world we think we live in, the world we write and read news reports about. It’s not only Christians who are today subject to horrific religious persecution – look at Rohingya Muslims in Burma, Tibetan Buddhists in China, Shiites in Saudi Arabia, just to name a few – but it’s our cultural and historical baggage with Christianity that thwarts our ability to recognise and resist it. If we fail to think clearly as a society about religious realities, it’s not only our understanding of world events that is compromised – the kinds of facts we can accept, the news stories we care to hear – but our response to current, urgent injustice around the world. Dr Natasha Moore is a research fellow at the Centre for Public Christianity. She has a PhD in English Literature from the University of Cambridge.